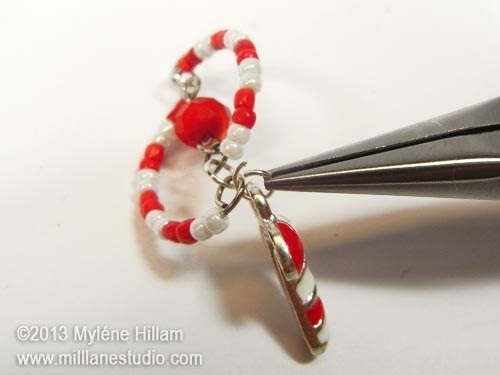 Mill Lane Studio: Candy Cane Swirls - Earrings for the Festive Season! 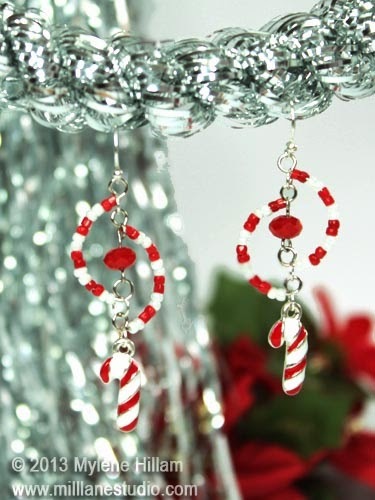 Candy Cane Swirls - Earrings for the Festive Season! Anyone would think I have a sweet tooth. Yesterday it was bonbons, today it's candy canes! OK, so it's true... I DO have a sweet tooth and I love peppermint candy canes! Using the memory wire shears, cut 2 three-quarter rings from the coil. 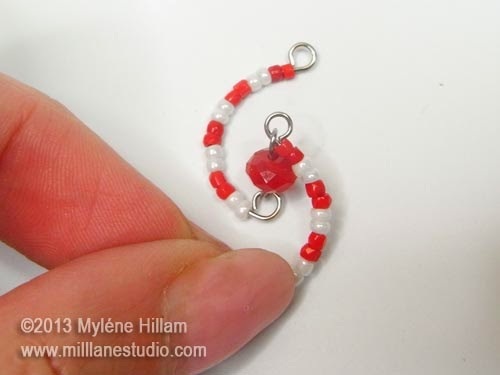 The gap between the ends is approximately 13mm (1/2"). Now, switch the partially formed loop onto the right hand jaw. Again, my hand is facing the camera so it appears to be the left hand jaw. 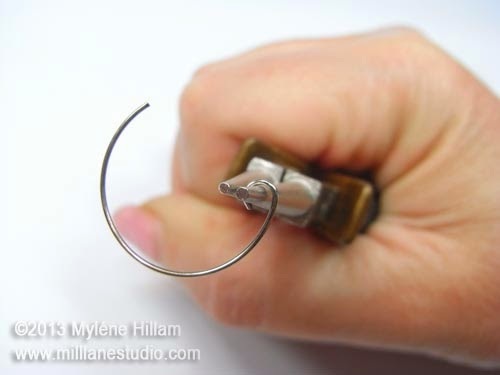 Using the thumb of your free hand, push the wire around the jaw until the end of the wire meets the coil. 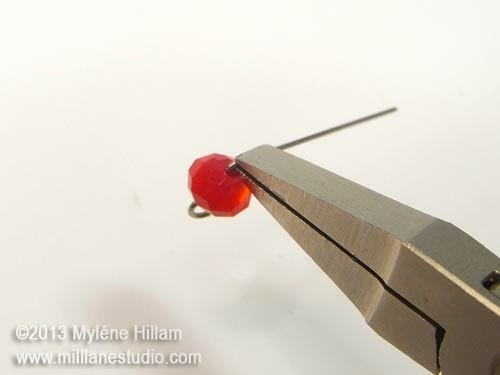 This will help form a beautiful round loop and will also make sure the seed beads don't slip around the loop. The two coils should look like this. Turn an outward facing loop on this end. Repeat with the second coil. 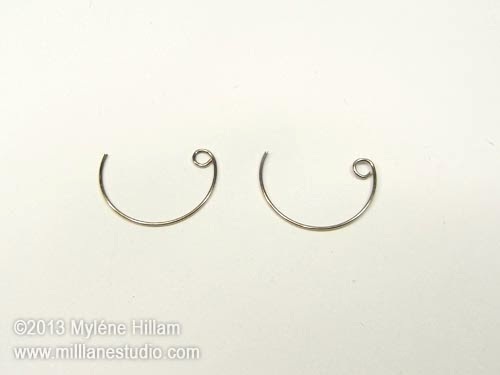 String the rondelle onto the eye pin and turn a simple loop. 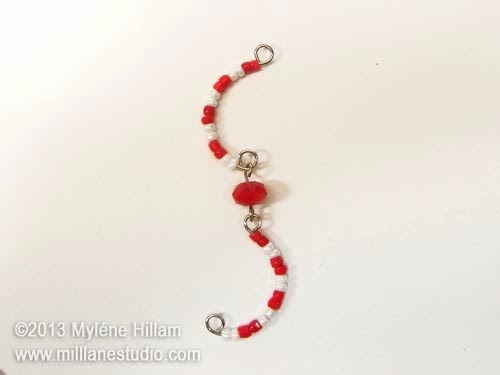 Connect the two coils together in an "S" shape with the eye loops of the rondelle. 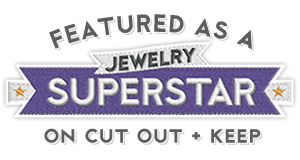 You should have an outward facing loop at the top and an inward facing loop at the bottom of the "S". Pick up the bottom loop of the bottom coil and flip the rondelle over itself so that the bottom coil is now sitting inside the curve of the top coil. 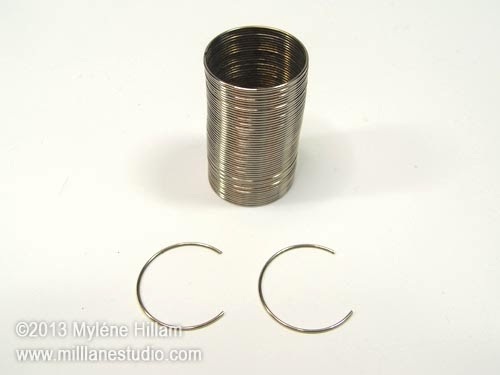 Connect the top loop of the top coil to the top loop of the bottom coil with a jump ring. You may need to flex the coil a little to hook it on. Repeat with the bottom loop of the two coils, flexing the coil if you need to. It should look like this. 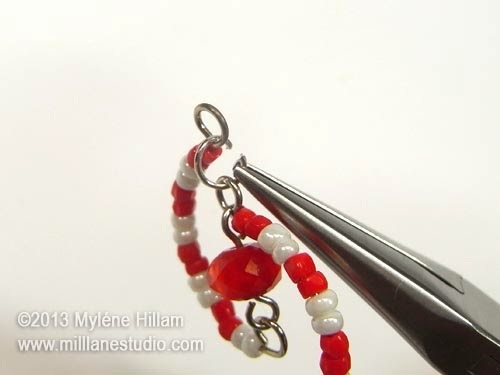 Connect the candy cane to the bottom loop with a jump ring. 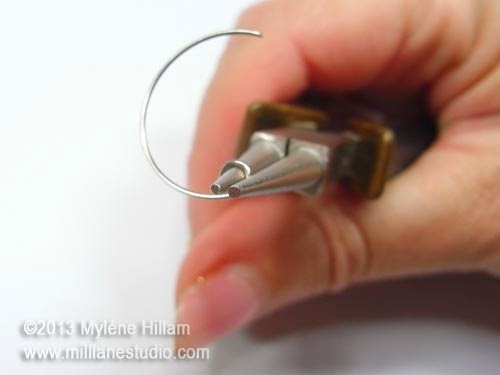 Hook the earring wire through the top loop. 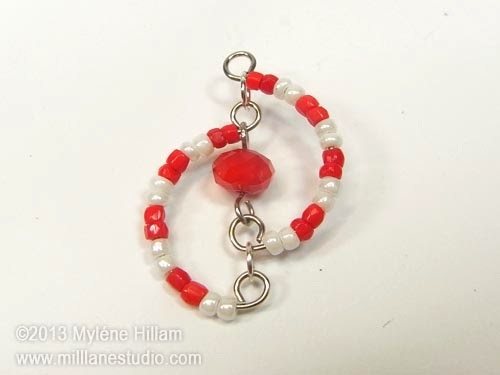 Now make a second earring to match! 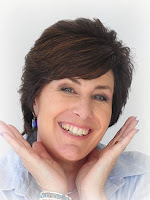 Google+ created a twinkling version of these earrings using the Auto Awesome feature. Enjoy the sparkle! 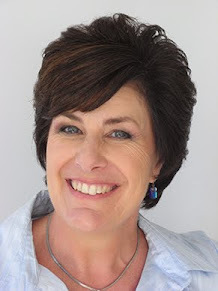 Get even more Christmas and Holiday earring designs in my Twelve Days of Christmas Earrings ebooks. 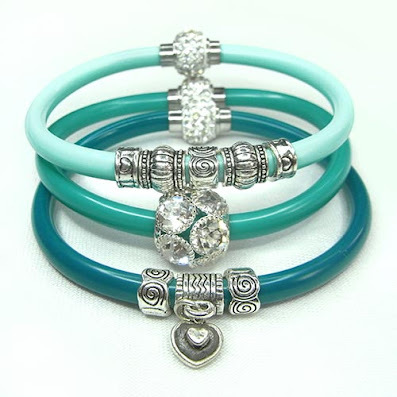 There are six books to choose from with so many different designs to make you sparkle through the festive season. 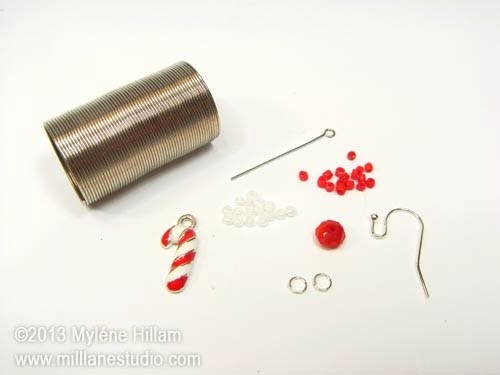 You can download them immediately after purchase and get started on your Christmas earrings straight away!